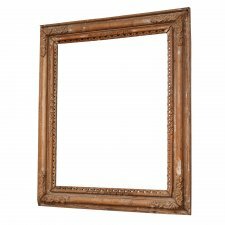 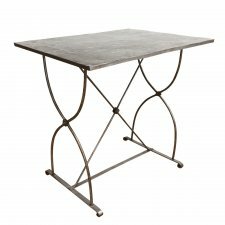 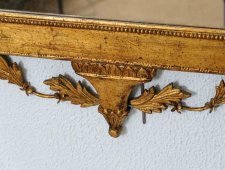 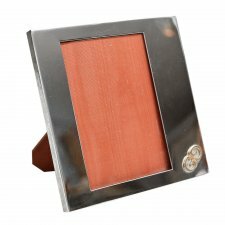 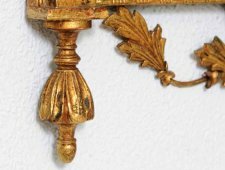 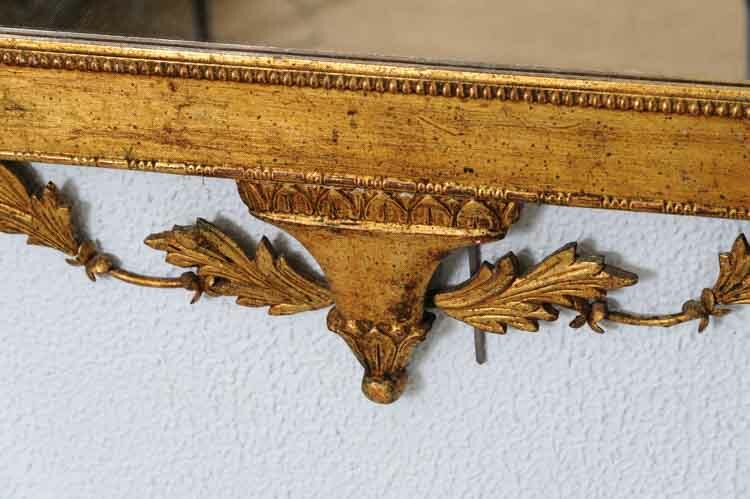 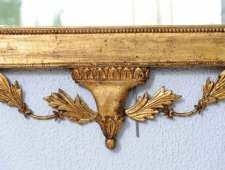 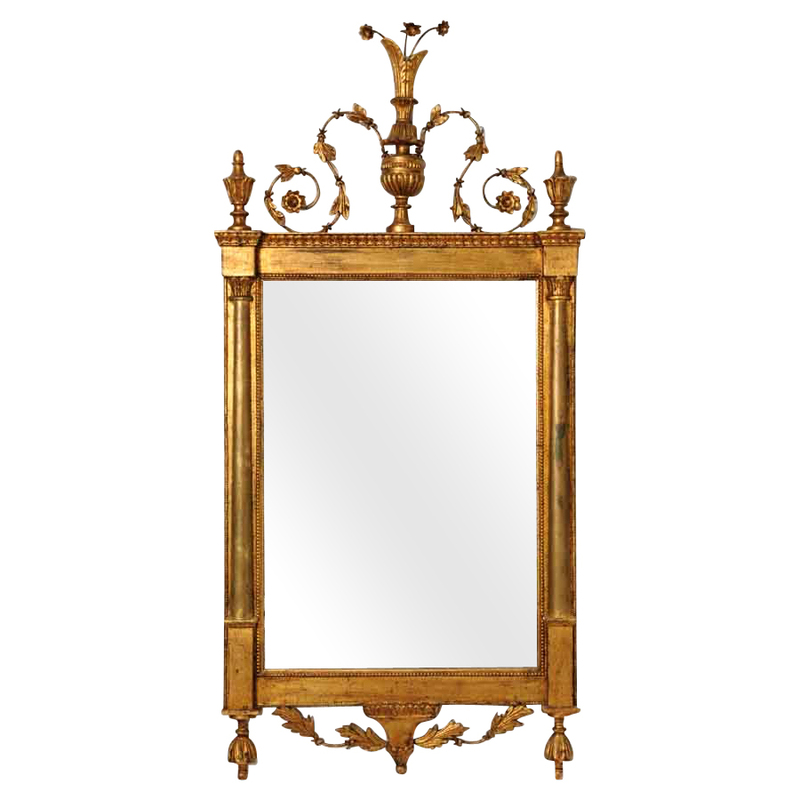 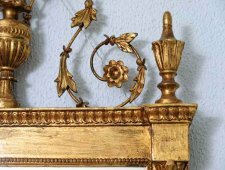 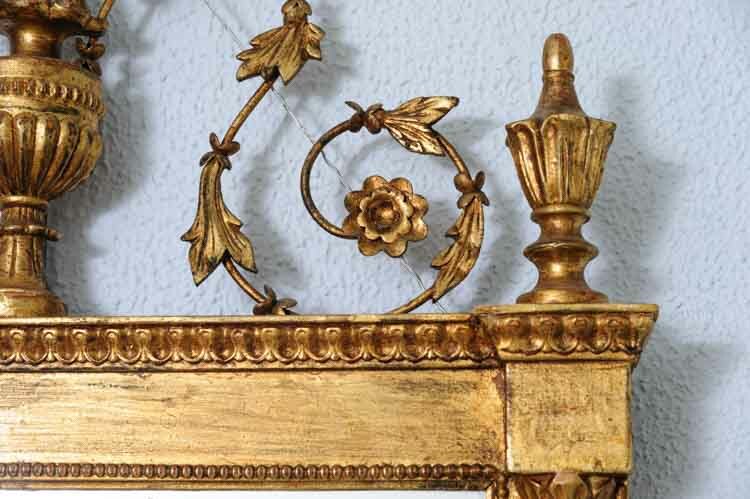 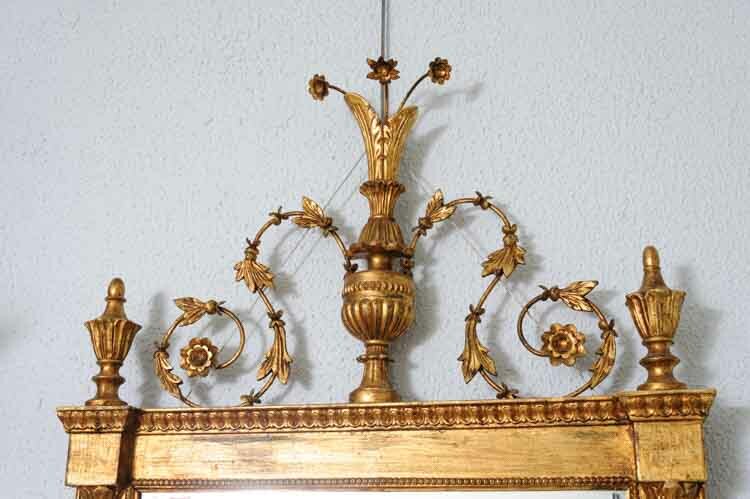 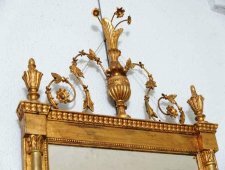 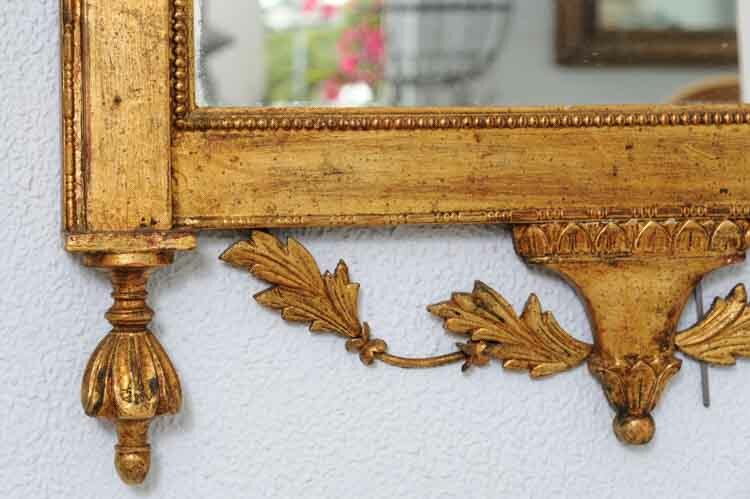 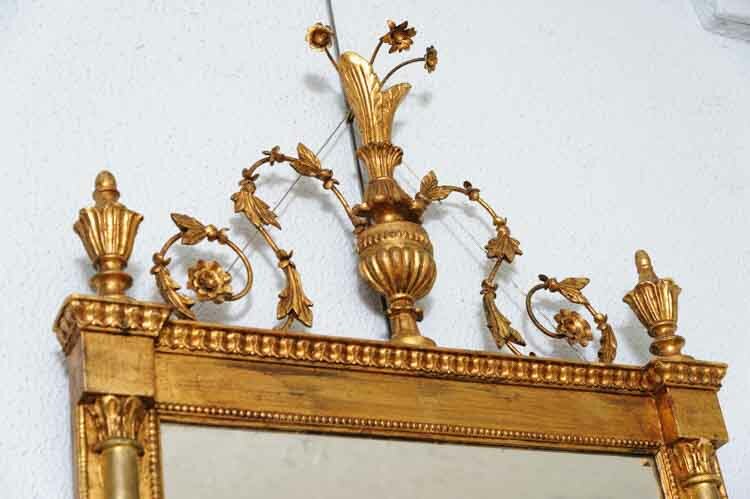 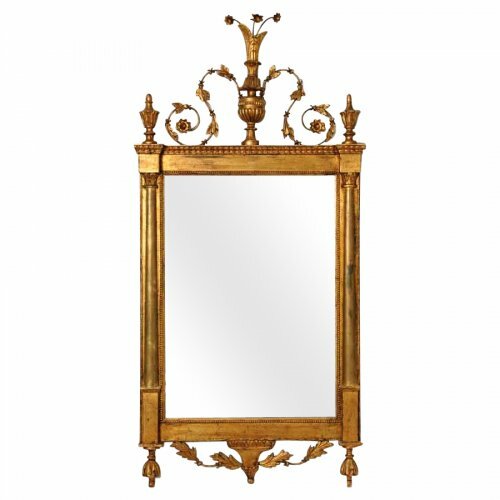 Beautiful gilded frame with ornate detailing. 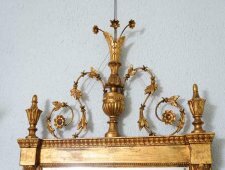 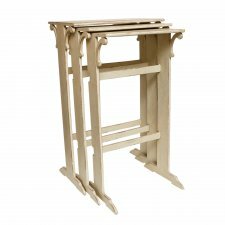 Carved vase with overflowing branches and small flowers on the upper part of frame and lovely carved branch at the base. 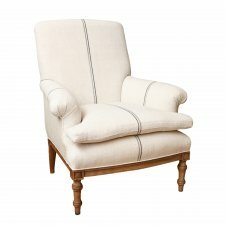 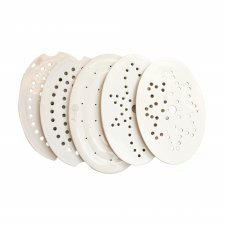 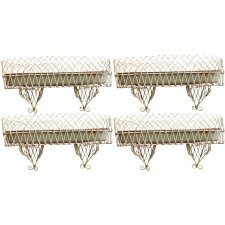 Beaded detailing and finials on each corner.